In my soul I believe that making people feel special is a competitive advantage, whether that is with employees or with clients. Do your clients feel like guests? I picked up this book because I have experienced amazing hospitality at some boutique style hotels (it’s my one indulgence). I think people who work in the hospitality (particularly hotels) look at their jobs in one of two ways, most see their jobs as helping someone to have a good night’s sleep, in a clean and nice room. Some others see their job as making sure guests are relaxed, that guests enjoy their city, and that guests don’t have to worry about a THING. The latter are the 5%’ers. There is a big difference between these two approaches, even though both approaches achieve the same end result (a place to put my head). It’s the time when I was followed by the hotel owner in Chaing Mai as she wanted to make sure Nora and I didn’t make a wrong turn and go to the wrong part of town, I can still remember the clack-clack-clack of her flip flops on the hot pavement, getting closer and closer, Mr. Ray-nold, Mr. Ray-nold, she said in her best attempt to match my name with her natural intonation… I think you want to make a right turn to go to the “Night Market”. There was a hotel in Istanbul where the sports jacket I laid on the sofa was hung up on a valet, sometime after I left, they offered 5 different types of fillings for your pillows too, so your sleep could be “just right”. I have about 8 other stories, but you get the gist. There is something about those experiences, that has etched into my memory permanently. They were more than just a place to sleep but an experience, someone cared about me going the right way, so much so they followed me out of the hotel to make sure. I went seeking a book to help me learn about creating great experience for our “guests” or as we in the agency world say, clients. 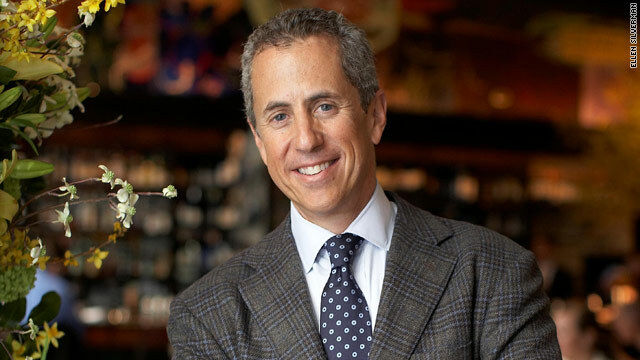 The book “Setting the Table” by Danny Meyer, hit home. I got the book because I wanted to learn how can I be a part of helping to make the people who work with SEER, both our teammates and clients have an amazing experience. Then how can I scale that? Where could I learn this? This book was hopefully going to be my guide. The book starts off a lot about Danny’s background, it was admittedly slow, but chapter 4 is when it started sinking in for me, so if you get it start there if you are pressed for time. In this chapter it opens with a story about turning over rocks, and Danny talks about how he sees it as his job to turn over the rocks of his business, look deeper than what is on the surface to understand more about your clients. As usual learning to watch and listen is again showing itself as a critical skill in making someone feel special. Something I learned in the book selling the invisible by Harry Beckwith (review coming) that has stuck with me since I read it probably 6-8 years ago is this. People don’t fire their friends. The book doesn’t talk about becoming drinking buddies with your customer, it talks about how to make them feel special, that you care, and how that buys you time, time when you make a mistake. It gives you benefit of the doubt, when a miscommunication happens. This is all about building trust. After someone goes above and beyond for you, do you find yourself giving them leeway in the future? Most of us do, I think its human nature. Danny also went on to talk about hiring the 51%’ers. I have believed this my entire life, hire for the things you can’t teach people. The things that are innate are, well innate. Its an emotional skill vs technical skill thing. 3 – Communicate, repeatedly, a well-defined set of cultural priorities and non-negotiable values. Later in the chapter Danny starts discussing the process of turning from a restaurateur to a CEO, which resonated a lot with me as this part talks about scale, and someone’s role as the company starts to scale. That can create problems, and he goes into detail about how he’s dealt with that. I think the more you care about creating amazing experiences the harder it is to scale, but he provides insights into how he’s managed that. The secret, is not a secret, its having GREAT managers. 1 – Infectious attitude – quite simply, are this person’s way of doing things and attitude something you would want to spread? 3 – Charitable assumption – A charitable mindset assumes the best intentions of others (read speed of trust for this concept). Mindsets often become self-fulfilling prophecies, so what you think of someone is likely to happen. Those who are skeptical as their nature don’t typically strive in organizations built on charitable assumptions. 4 – Long term view of success – The best way to grow a business is with repeat customers, who have great experiences, how are we pushing to that end to grow, what great experiences are your managers creating? 6 – Trust – Having people work from a place of fear brings a totally different player to the field. I think CEOs are scary people, and no matter how much we say we want people to feel they can experiment, fail, etc – it’s critical we work to communicate that daily, as it’s inherent to believe that a mess up will get you fired, at SEER it won’t. 7 – Approving patience & Tough Love – Tough love means being willing to tell someone the truth, even if it is tough for them to hear, that takes cajones. Managers must have the ability to do that, they must operate from a place of trying to catch people, in the act of doing things right vs only when they make mistakes. In other words we are all going to make mistakes, that’s a given, it’s how you handle them that is the key. The concept of writing the great last chapter on every mistake is the KEY. When a mistake is made, it’s made, but the future is NOT made yet. How can you take a mistake that happened and turn it into the great last chapter in the story with a client? You can only turn things around when you genuinely care about the person, and righting the wrong. With example after example of how they’ve written the great last chapter, it sinks in. The sommelier who went to someone’s house to take champagne out of the freezer on their 20th anniversary so it wouldn’t explode, is just one of many, trust me its worth a read. This week we had to part ways with a long standing client, our team did such a great job of writing the great last chapter that we all felt good leaving the table, they got “much more than expected” and we wrote a great last chapter. Thats what screw up are all about. If you want to become someone that helps your clients get great results (putting their head on the pillow in a clean room) but want to achieve more, if you want to be that sommelier or the hotel owner who clickety-clacks after your guests read page 227, then I will tell you this book is for you.